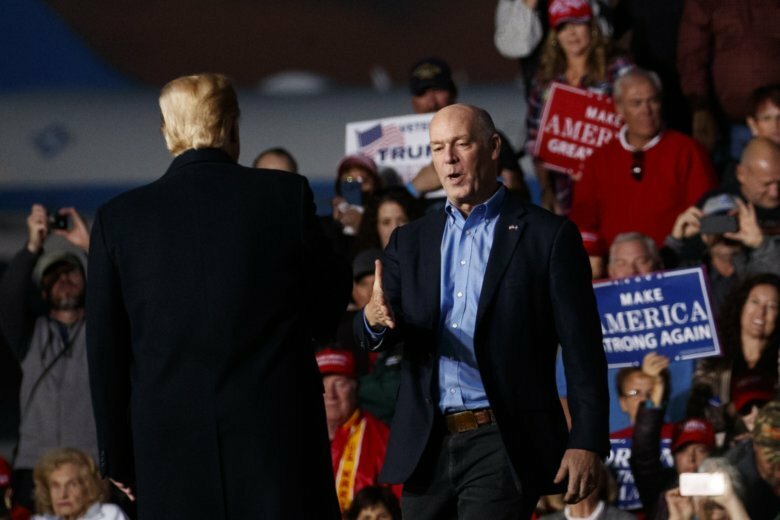 The White House Correspondents’ Association is accusing President Donald Trump of celebrating a crime when he praised a Republican Montana congressman who body-slammed a reporter before his election last year. Knox says Trump’s praise of Rep. Greg Gianforte (jee-an-FOR’-tay) “amounts to the celebration of a crime by someone sworn to uphold our laws” and an attack on the First Amendment by someone who has pledged to defend it. Gianforte pleaded guilty to misdemeanor assault for the attack. President Donald Trump is defending a Republican congressman, Greg Gianforte (jee-an-FOR’-tay), who pleaded guilty to assaulting a reporter last year. Guardian reporter Ben Jacobs says Gianforte “body slammed” him for asking a question in May 2017 — the day before Gianforte won a special election for Montana’s only U.S. House seat. Gianforte initially told police that Jacobs instigated the attack but later pleaded guilty to misdemeanor assault and said Jacobs did nothing wrong.